CALL US: (509) 737-6079 | We are a wholesale company and would like you to contact your local tire dealer. Can’t find the forestry wheels you’re looking for below? We build custom forestry wheels, and can help you get exactly what you need to keep your rig on the road. Wheels are available in a wide variety of colors and finishes including spray chrome and powder coating. 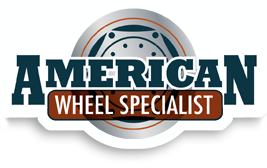 Contact American Wheel Specialist today at (509) 737-6079 in Pasco. American Wheel Specialist has been manufacturing and repairing wheels since 2002. Our products are manufactured using quality materials and proven techniques that will withstand the hard work you’ve come to expect from your wheels. Learn more about our testimony of our Lord and Savior.